My family came to the UK in the 1880s from the newly-formed Italian province of Parma that, only twenty years earlier had been known as the Duchy of Parma. Unification of Italy in 1861 led to rapid industrial growth in cities but in mountainous rural areas where winters were long and crops were at the mercy of unpredictable mountain weather life was still pretty tough. The inheritance system also meant that families who were usually large in numbers in order to have plenty of help on the farm would, in time inherit less and less land which was always equally divided between siblings to the point of being to small to be profitable. People started to migrate to towns and cities in the same way as people all over Britain had been doing for best part of a century. Some even migrated to France, to the UK, primarily to London and South Wales and a few to the United States. The popularity of the accordion too spread rapidly at this time. Whilst Paolo Soprani opened his factory in Castelfidardo in 1864 and being situated in central Italy, it was still quite far away from the Parma and Piacenza area in the North, even by train, Much more local was the new Dallapé factory which opened in 1873 in Stradella, near Pavia. Parma too would eventually boast two accordion factories of it’s own: Bocchi and Calvi. Parma was of course the town of Giuseppe Verdi and music played a big part in local life, not only in the theatres and opera houses but in the inns, cafés and on the streets too. Augusto Migliavacca, the blind cellist, he of the famous mazurka commonly referred to by the composer’s surname with the prefix La, or just Celebre Mazurca di Migliavacca, but originally published as Un pensiero d’amore, was thought to have impressed Verdi with his playing. It was here that proto-accordionists would have picked up La Migliavacca, as well as some of Verdi’s music which the cellist in his string trio usually played reductions of. Musicians too migrated to these new destinations that their countrymen were migrating to. Firstly to Parma and Piacenza, then maybe to Milan and then the ultimate adventure was to take them abroad, accordion in tow. 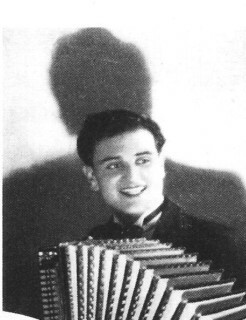 Amongst those who left for France were Louis Ferrari (who wrote the famous french waltz Domino, sung by Bing Crosby, Doris Day, Tony Martin and Andy Williams no less), his cousin Tony Murena, who wrote many musette tunes including Indifference, and one-time world champion Attilio Maghenzani. Another accordionist from the same area ended up in the USA; John Brugnoli was the accordionist with the Valtaro Musette Ensemble and they made many recordings of traditional mountain songs and other popular and folk tunes with a vocal group of the same name. London saw some notable accordionists from the Parma and Piacenza area too. The Allodi Family, Frank Cavaciuti (aka by his Latin American pseudonym Francisco Cavez) and many other good accordionists who were perhaps less well-known in accordion circles. Amongst those who remained in the Emilia-Romagna area though were of course, Gigi Stok, Barimar, Umberto Allodi, Bruno Aragosti, Bruno Clair (who spent some time abroad too), Giancarlo Zucchi, Carlo Venturi, Corrado Medioli, Piero Barbieri, Iller Pattacini, Renato Benelli and many of the younger generation like Mauro Carra and Daniele Donadelli. Amongst this wonderful array of players, each with their own individual sound was an amazing player called Nando Monica. Nando Monica was born in Langhirano near Parma in 1921. He started learning the accordion very young and by the time he was aged 9 he would go out to play at dances with his father, and amateur Double Bass player. Aged 10 he entered the Parma Conservatoire and studied cello and organ. After getting his diploma in solfége under Aldo Lazzari he returned to the accordion and went on to study harmony.Aged only 17 he became part of the large orchestra of Maestro Bocelli playing in very fashionable towns like San Remo, Salsomaggiore Terme and Ospidaletti. During the war he was posted to Yugoslavia and entered the VI Corpo d’Armata where he started a small ensemble playing light music. After the war he returned to Maestro Bocelli. After a year he moved to Milan playing with many good ensembles and adding jazz improvising to his skills. The same year he opened a shop in Parma too which he ran until 1991. His recording career started in 1946 with CGD and he worked with many famous singers. In 1953 he emigrated to Venezuela where he lived for 6 years orchestrating tropical music with Billo Frometa the leader of a large orchestra. 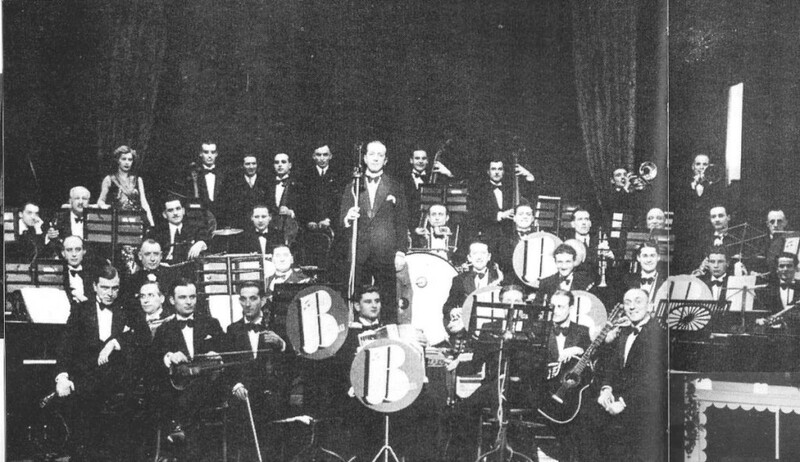 After having returned to Italy he also played in a TV broadcast with singer Teddy Reno in Paris after which he dedicated himself to recording in a big way and going on to win international prizes of the Suisse Romande, of the RFT-France and the Gran Premio Internazionale of 1982 and recording with Soedi and with his own recording label. He wrote about 700 pieces of music including Parma Voladora, L’orchestrina del mio paese, (made famous by Cinico Angelini) and many classical transcriptions for accordion. In 1982, with lyrics by Umberto Tamburini, one of his songs won the Festival della canzone Parmigiana. He left his hand print as many accordionists have, at the accordion museum in the alpine spa town of Recoaro Terme for national meeting of the Veterani della Fisarmonica in 1998. For more than 30 years Nando Monica collborated with German music publishers Wurburger Musikverlag and Wurzburger Elwephon records whose publications and Cds we are very happy to stock at ZZ Music. We already stock his compositions Voilá Paris and Prestige and his wonderful transcriptions of La Campanella and Carnival of Venice and we are now pleased to present a bumper CD with no less than 28 tracks of Nando Monica and his wionderful playing entitled Pizza e Tarantella after it’s title track. The album also features the fabulous musette swing waltz Prestige which we stock as sheet music. ZZ Music will be happy to obtain the music of any of the tracks featured on this album if do not currently have them in stock so please email us with your requests if you cannot find it on our site. I remember meeting Nando Monica in the 1990s in his shop in Parma with Corrado Medioli. He was a quiet unassuming man but with a lot of enthusiasm for music despite his advancing years. I was saddened to hear of his passing in 2004 as he was a link to en era when every dance band had an accordionist and in his case a most excellent one. For more than 30 years Nando Monica collborated with German music publishers Wurburger Musikverlag and Wurzburger Elwephon records whose publications and CDs we are very happy to stock at ZZ Music. We already stock his compositions Voilá Paris and Prestige and his wonderful transcriptions of La Campanella and Carnival of Venice and we are now pleased to present a bumper CD with no less than 28 tracks of Nando Monica and his wionderful playing entitled Pizza e Tarantella after its title track. The album also features the fabulous musette swing waltz Prestige which we stock as sheet music. ZZ Music will be happy to obtain the music of any of the tracks featured on this album if do not currently have them in stock so please email us with your requests if you cannot find it on our site.